Disney Lodging: On property or off property? 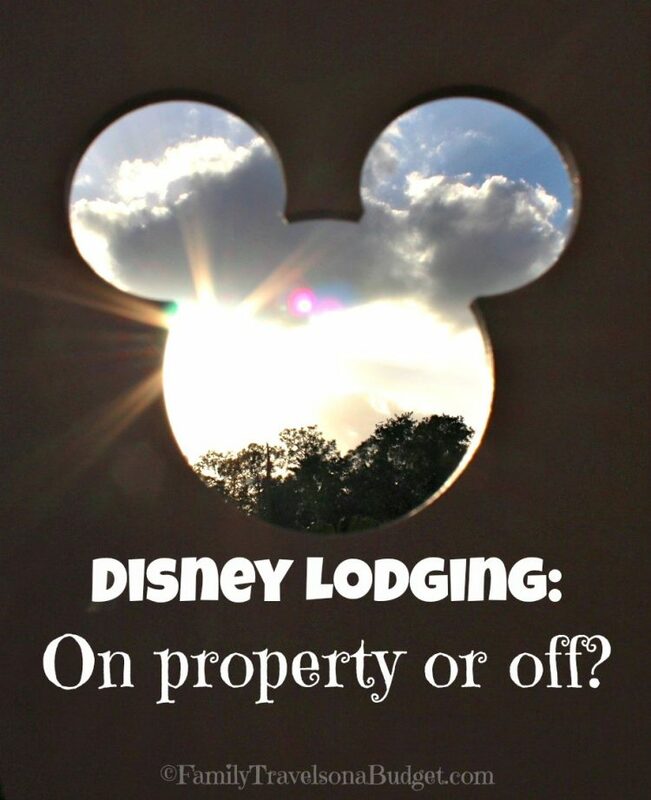 Home » accommodations » Disney Lodging: On property or off property? So, you’re going to Disney! Will you stay at a hotel at Disney or will you stay off property? There are so many great hotels in Orlando that this is one of the hardest decisions to make. We’ve been to Walt Disney World at least 20 times, and have stayed on property and off property. You’ll have a great vacation no matter what you choose. But to decide what’s best, we made a list of the pros and cons for Disney lodging options both on and off property to help you decide. If you have questions, leave a comment at the end of the post! Or ask on Facebook or Twitter! Disney offers a wide variety of resort options on property for visiting guests. The value resorts like All Star Movies, Sports and Music cost around $80-$160 per night depending on season. Peak season includes Christmas week, Thanksgiving week, Spring Break (March-April). The best value season and rates are offered in September. Luxury resorts such as the Animal Kingdom Lodge begin around $260/night and can run up to $500/night or more. These resorts offer more space, more luxurious amenities and nicer views than value properties. Convenience. Because the resorts and parks are part of the same system, guests who stay on property benefit from free Disney transportation by bus, boat or monorail to and from the parks. Also, room keys/magic bands can be used to charge purchases of food and souvenirs, no wallet needed. Complimentary airport transfers through Disney’s Magical Express. Guests tag their luggage at home, check it in at the departure airport and it’s delivered directly to the room. Disney Dining Plan savings and convenience. Amusement park dining can be expensive, and Disney is no exception. The Disney Dining Plan, available only to Disney resort guests, offers prepaid, discounted dining options. The quick service dining plan, offering two quick meals and a snack each day, offers a 10% savings over regular prices. The deluxe dining plan, offering up to three meals and two snacks per day, offers up to a 35% savings over regular prices. Guaranteed park entry. Disney hotel guests have access to the parks, even when the parks close due to full parking lots. During peak season, this can become a factor. Extra Magic Hours. Disney hotel guests have more time to play, because parks offer early entry and extended evening hours to resort guests. Especially important during summer heat and peak vacation seasons, resort guests can visit the parks before they get crowded, head back to the resort to take a nap or play in the pool, and return to the parks in the evening when they’re less crowded. Vacation package discounts. Guests staying on property get the “best” Disney vacation package offers, including tickets, meal plans and extras. Off property hotels might include theme park tickets, but they do not include meal plans and other extras. Book Fastpass experiences 60 days before travel. Guests who stay on property get first dibs at booking fastpass reservations. Cost. Staying on property is expensive compared to similar hotels off property. Slow transportation. Using the Disney transportation system means lines for buses back to hotels, especially at park close or when the weather is bad. The shuttles run a regular schedule, but it can take up to an hour to get to the parks from your hotel. The greater Orlando area, second only to Las Vegas in the number of hotel rooms available, offers a wide variety of hotel options to guests, many less expensive than Disney hotels. Why stay off property? Planning to visit other places in Orlando. If your itinerary includes Sea World, Universal Studios or other Orlando sites, why pay the premium price for the convenience of staying on Disney property? Instead, book a hotel or vacation home convenient to everything planned. Many resort hotels offer free shuttles to Universal, Sea World, the outlet malls and more. Suites for less. While Disney offers vacation villas — suites with bedrooms, living area, kitchen and laundry — they are pricey (can run more than $400/night). All suite hotels offer similar space at lower prices off property. For instance, Buena Vista Suites offers two rooms (living room with sleeper sofa and bedroom with two queen beds sleeping six) with complimentary breakfast and hotel shuttle to the parks for as little as $79/night. Prices can run higher. The Residence Inn by Marriott offers two room suites for about $119/night, and Marriott rewards members earn points for stays. Vacation homes offer all the comforts of home, usually including laundry and a private pool, for about the same price as a hotel room. Driving in Orlando. With so many tourists, driving in Orlando takes great patience. The roads are crowded! It takes forever to get anywhere in the tourist zone. Parking at Disney. It costs $20/day to park at Walt Disney World. While many hotels offer “shuttles” to the parks, they don’t run very often and many require a fee to use. One resort had a $7/person fee! Yikes. Book fastpass experiences 30 days before travel. On property guests get first dibs at fastpass experiences, which matters most when traveling during peak season. Fewer hours in the parks. There are no extra magic hours for off-property guests. Those guests arriving by car in Orlando during evening hours might consider staying off property at a standard hotel the first night and staying on property the rest of the trip. Why pay the premium price for an on property stay without being able to appreciate the benefits of the Disney Parks and resorts? Consider using Groupon or other hotel discount sites to book a room for arrival night. Mousesavers.com. This site includes an extensive list of off property hotel options with links to their sites for easy booking. Allears.net. This site includes information for all categories of on property Disney lodging options, including rates at Fort Wilderness Campground, as well as information for popular off property options. AOL Travel. This article “crunches the numbers,” showing the true costs of staying on property and off property. 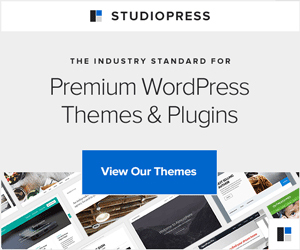 Factoring in location, convenience and package deals, readers can better assess which option is really their best value choice. Thanks for more great information. Disney is so overwhelming. we skipped the meal plan and I’m glad we did because we didn’t always eat 3 meals a day. 1 day we had a late and large lunch and got by with popcorn and cookies in the park in the evening. Another day we had a big breakfast and just grabbed hot dogs while waiting in line to meet characters in anticipation of a big dinner. Also, I’m not sure you can apply the meal plan to all the character meals and dinner shows. And the plans tend to emphasize the casual and quick service restaurants. The mid-priced and more expensive table service restaurants in the hotels and at Epcot are often excluded (being able to eat a nice lunch or dinner here and there and not have to eat burgers and chicken wings the whole time is one of the things that makes Disney appeal to parents, I think). I would do some research into places you might want to eat and character meals or shows you might want to go to before booking a dining plan, to make sure it’s a good fit for what you want to do. Buying credits you wind up not using won’t save you money. Disney offers several different dining packages for guests who stay on resort. The quick dining plan offers two quick service meals, one snack and a refillable cup for use throughout the stay at the resort. The traditional dining plan offers one quick service meal, one table service meal, and a snack per day, plus the refillable mug. The plans get more expensive — and I agree with you, hard to use fully from there. Most character dining counts as one table service meal. The exceptions are the princess breakfast at Cinderella’s Castle and the specialty dining (Hoop de Doo Review, etc). Those count for two table service meals. Great conclusion: Before choosing a dining plan, make sure it meets your needs. We usually don’t do a dining plan, but our last trip, we wanted to enjoy several character meals and saved more than $300 over purchasing a la carte for the trip. Our next trip, a quick three-day weekend, we are doing the quick service plan for the convenience. We will save only a few dollars ($20-30), but we look forward to the convenience for that trip. These are some great tips. We are hoping to visit Disney World next year and was unaware of many of the things you pointed out so thank you very much! Well, I told you in the last post, my family lives 45 min. from Disney. BUT, I would LOVE to stay in a Disney resort and do the WHOLE Disney thing. I looked at a couple of the budget ones online before. I think even a budget Disney hotel would be awesome! Thanks for all of the info. I really do hope that I can do this one day. I have never been to Disney, although it has been a dream of mine and would love to visit within the next few years. By reading your post, I would love to stay on property. It does seem pricier, but the perks verse staying off property would be so worth it! Hope that helps your Disney dream come true one day. We've done both, depends on the deals and how much we want to spend on junk. Your comment brings up an important point which cannot be stressed enough. Every dream vacation, Disney or anywhere, is going to be different for different people. For the most part, I prefer to stay on property as well. I like the extra magic hours and the food discounts (my sons are 18 and 15). The convenience and perks make our Disney vacations stress free and magical — even after all these years. The boys (those same teens) want to visit Universal soon. Combining both parks so that the younger sister gets her Disney princess time means we might book off property next time. Every vacation, every family, and every trip even by the same family can look different than previous trips, just because the goal or the budget has changed. Happy planning. I hope this week's posts help you. Be sure to sign up for updates so that you don't miss any wonderful vacation planning tips. Palisades Resort is a WDW Good Neighbor Hotel, so they know how to do things well and are able to assist guests with Disney tickets. Staying at this property does not allow the discount dining plan. If I were combining Disney and Universal Studios, this hotel would certainly be in the running.